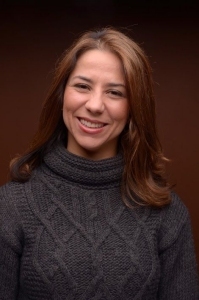 Maria Guerra Lapacek has been appointed by Mayor Rahm Emanuel to serve as Director of Legislative Counsel and Government Affairs, a key office that serves as liaison with elected officials, government agencies and community organizations at the local, state and federal levels. Guerra Lapacek replaces Anna Valencia, who was recently appointed City Clerk. Guerra Lapacek presently serves as the Commissioner of BACP. As Commissioner, she has led the department at a time of substantial change in the marketplace, having implemented regulations to innovative business models including ride- and house-sharing. “As a native Chicagoan, I love my city, and I take immense pride in working hard on behalf of all of its residents,” Guerra Lapacek said. “I am honored and humbled by this appointment and look forward to working with elected officials and community organizations to achieve the Mayor’s vision for strong neighborhoods across this great city.” Prior to being named Commissioner of BACP, Guerra Lapacek served as the First Deputy Director of the Office of Legislative Counsel and Government Affairs. 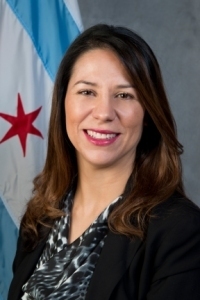 She previously served as a Deputy Chief Financial Officer and in the Office of Management and Budget as a Deputy Budget Director, where she managed efforts to consolidate departments to save taxpayer dollars and implemented performance management measures for the City’s human infrastructure departments. Guerra Lapacek grew up mostly in the Humboldt Park neighborhood and attended Maternity BVM grammar school and Lane Technical High School. She received a law degree and MBA from DePaul University, and an undergraduate degree from Slippery Rock University of Pennsylvania. She lives in the West Town neighborhood with her husband and two children.